The sweep of this statement is typical of Yogi Bhajan, the originator of kundalini yoga and never one to play small. 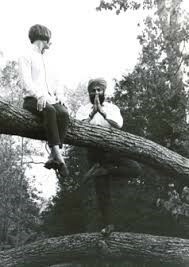 Although his particular synthesis of yogic practices arrived with him to the West in the late ‘60s, he always insisted he was just passing on what he’d been taught, a mailman delivering much needed information. He saw that the accelerated pace of life on the cusp of the 21st century called out for techniques to slow and calm the human nervous system. Each kundalini class as taught by Yogi Bhajan incorporates a physical yoga sequence along with pranayama (breath work) and meditation, for a distinctive mind-body workout. There’s no question that yoga itself has arrived in the United States like water in a drought. We can’t get enough of it. According to Yoga Journal, 44.4% of Americans believe yoga has something to offer them. And according to a 2012 Yoga in America study, 8.7% of Americans actually practice yoga. Considering you are reading the blog for LYFE Yoga, I’d say it’s pretty likely you are among the latter group of practicing yoga students. But it’s also likely you have yet to try kundalini yoga, still considered an obscure spiritual offshoot of the pure physicality of American yoga. That’s too bad, because kundalini yoga incorporates breath and meditation components that can greatly reduce stress and enhance mood and cognition. Kundalini is a powerful mind-body exercise designed to bring you into the present moment and move negative emotions. My first teachers of kundalini yoga (encountered at our own beloved LYFE Yoga) included two with advanced degrees in psychology, a dancer, and an accomplished musician. This gives you a sense that kundalini yoga is as much about the intricate working of the mind and is is about the musculature of the body. At the same time, it involves the pleasures of movement, music and sound. What I loved about kundalini, then and now, was that it engaged all facets of my being, while leaving me more relaxed and energetic at the close of each class. If you’ve been feeling like you want to incorporate meditation and mind-calming techniques into your life, kundalini is an excellent place to start. Please join us–LYFE Yoga offers three kundalini classes a week, each one appropriate for beginners.